With Father’s Day tomorrow, I was reflecting upon some fond childhood memories with my dad when I realized…man, kids can be assholes sometimes, yet our parents still put up with us. I can think of two specific instances from when I was little. Obviously I wasn’t trying to be a jerk at age 6, but the annoyance I inflicted on my parents is kind of amusing in retrospect. For example, I’ve always been an absolutely terrible sleeper. And back when I was young and couldn’t sleep, I still had the mindset that Parents Solve All Problem. So multiple times a week when I couldn’t fall asleep, I’d waltz into my parents’ room and tap on my dad’s shoulder, informing him of the problem and patiently waiting for the solution. The solution: Him putting on All Dogs Go to Heaven and letting me fall asleep on the couch in front of the TV. Part of me wants to watch it as an adult to see if I’ve been classically conditioned to fall asleep during it. Mirrranndddaaa. But as a little kid, I had no idea that 1. My parents didn’t actually have a solution to make me sleep 2. I was making them not able to sleep and 3. I could work a VCR on my own and cut out the middleman. Whoops. I also have a very vivid memory of coming up with the best Halloween costume for my 6’6″ dad. You see, I took a paper bag and drew a Frankenstein mask on it…and made him wear it as he was taking me trick or treating all around the neighborhood…despite it having nothing to do with my costume. I remember at the time I thought it was the shizz, but in retrospect it had to look like crap since a 7-year-old made it. Love: When you’ll walk around in public with a bag over your head for your daughter. In retrospect I hope he had a couple manhattans to drink before dealing with that. What did you obliviously make your parents put up with as a child? This is post 22 of 49 of Blogathon. Donate to the Secular Student Alliance here. 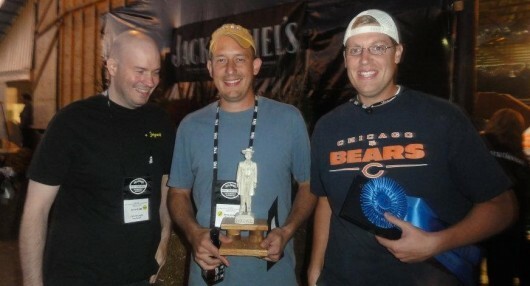 Guess who won first place in beef brisket at the most prestigious barbecue competition in the world? That’s right, my brothers’ team, Brew-B-Q! A huge congratulations to my brother Pat, brother-in-law Danny, and brother Chris (who apparently traveled to Tennessee to be their third team member for the competition). I think it’s pretty amazing that some people compete in these things professionally, doing 40+ competitions a year, while my brothers won just have this as a cool hobby where they compete three or four times a year. 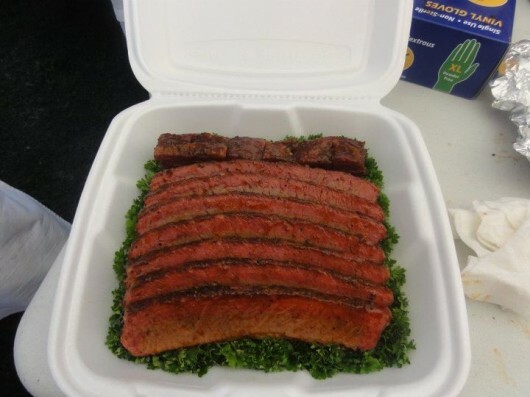 As someone who’s eaten this brisket, I can tell you it’s deserving of the title Best Brisket in the World. My brother Pat and brother-in-law Danny’s barbecue team, Brew-B-Q, is competing in the 23rd annual Jack Daniel’s World Championship Invitational Barbecue this weekend. I wish them the best of luck, though I know from experience that their stuff is delicious. I think this is the first time I ever wished I was in Tennessee. Yep – drunk, cannibalistic farm animals. My family is weird. Today was the last day of my parent’s visit to Seattle. We were walking down to grab some Piroshky Piroshky for lunch, when a young man came up to me. Guy: Excuse me, but… were you the one who did Boobquake? He sheepishly waved hi and then ran away. And then tweeted at me that he was a blog reader and was sorry for being creepy. My parents thought it was fantastic, and wouldn’t stop talking about how famous their daughter was. I wondered what the odds were. I’m used to people recognizing me at godless or nerdy events, but randomly on the street seems way less likely. It had only happened once before, when I was on a terrible OkCupid date at the College Inn pub, and a random guy came up and asked if I had ever been on the Savage Lovecast. A potentially confusing question if the answer was “No,” but he ended up being a fan of the blog. Of course, Seattle is pretty godless and nerdy in general, so maybe I should just expect it. Guide: Have you been on the tour before? You look really familiar. Me: …No, but I live in Seattle. Dad: (to me) I bet she reads your blog too! Sure enough, at the end of the tour she very excitedly said she figured it out, she reads my blog, and omfgwtfbbq could she have my autograph!?! My dad couldn’t stop talking about it – he thought it was the coolest thing ever. I assured him I wasn’t paying these people off to make me look good while they were visiting. Anyway, these little things totally make my day. Don’t be shy if you ever see me roaming around. I’m happy to say hello! On the flip side, they make me feel extra guilty when I realize I just spent another weekend not updating. Whoops. I’ve been having a life lately, which is a bit unusual. I’m sure I’ll go back to my boring internet-fueled existence soon enough.